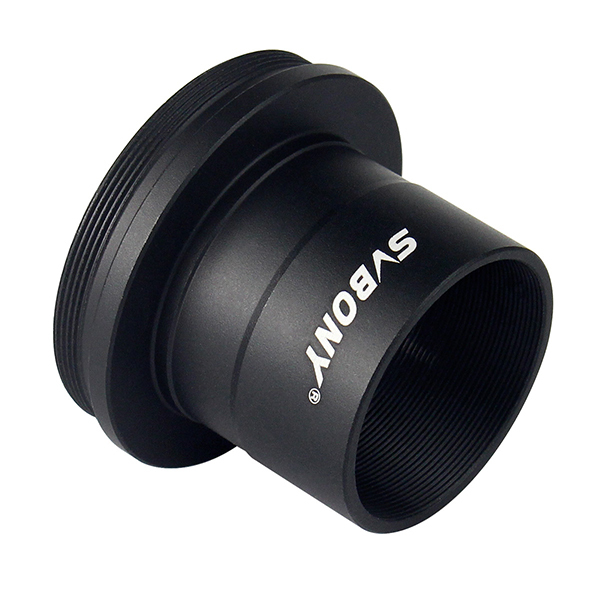 For the eyepiece, I've recently ordered the Baader Hyperion Zoom Eyepiece 8mm-24mm. The problem with this eyepiece is that it's really wide. Apparently, 55mm wide according to First Light Optics Specs which will be too big for the Gosky Universal Phone Adapter. 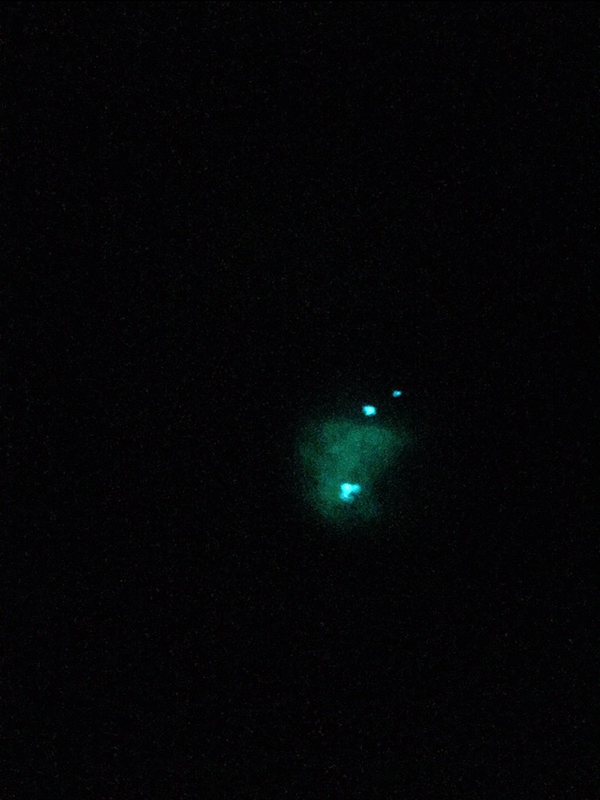 My father has an Android smartphone and he is only interested in recording the moon and I was wondering if you guys have any good phone adapter suggestions for me? I am not sure which one of these would be a better fit or if there are even better options out there that are around the same price range. I've also read very bad reviews about these two adapters on multiple different sites and I don't want my father to suffer dealing with a bad phone adapter so I am trying to find the best fit for him. I guess I should also consider the 12-15mm eye-relief of the zoom eyepiece in which case I am not sure which adapter would be the best fit. What do you guys think? Edited by erseavetir, 23 September 2018 - 08:29 PM. 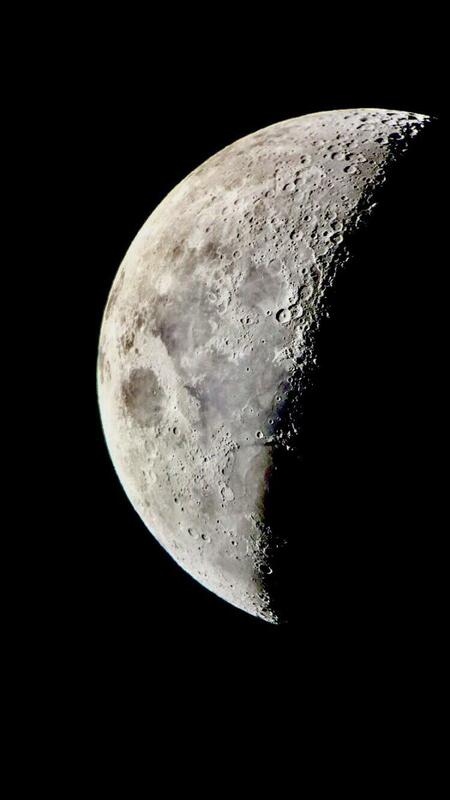 I got the Celestron NexYZ 3-Axis Universal Smartphone Adapter and it works pretty good. Easy to adjust. These images are the first 2 images I took with it (bad phone camera though). I know this is not a smart phone setup but if you have a DSLR handy you can grab this Baader T-Adapter which screws onto the top of the Baader zoom then get the specific T-Thread Adapter for your camera then you have easy eyepiece projection. 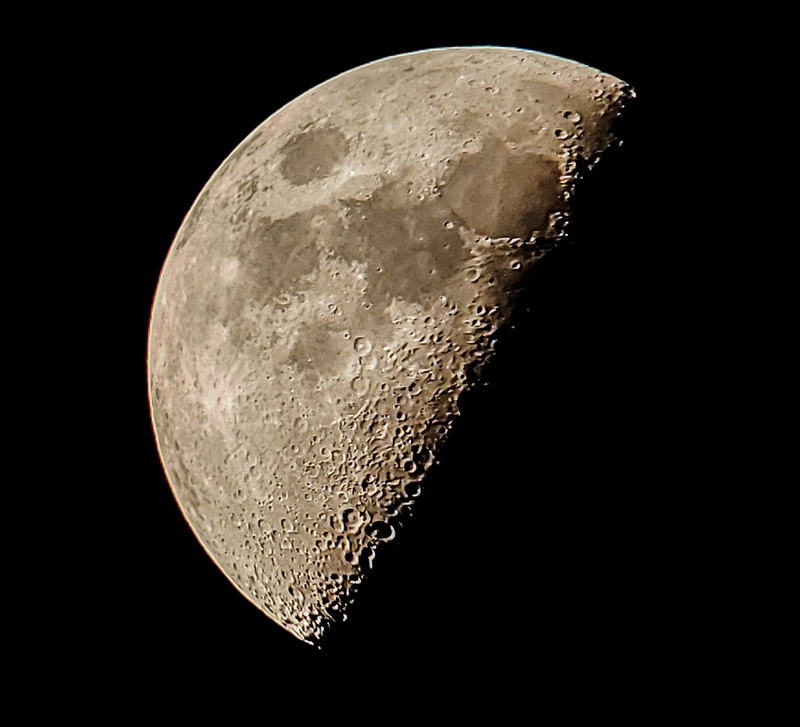 I use this here all the time for Lunar, just drop in the diagonal and click away on the remote shutter. Easy and works well but you need a DSLR, perhaps you can find a used one at a decent price. but I guess we can also use the camera without any eyepiece attached to it but we want to use it with the Baader Hyperion Zoom Eyepiece now. that the ZWO camera has an M42x0.75 (=T) thread and the Hyperion zoom that I bought has an M43 thread under the eyecup. And I was recently suggested from someone to buy the "Baader Hyperion Eyepiece T-Adaptor (M43-T)" but the person who suggested this was not sure if I would need any M42 spacers﻿/extension tubes to adjust the distance between the eyepiece and the camera. Also, I wouldn't know where to buy these tubes. Do you guys happen to know about this? "I cannot recommend using the ZWO camera with a Baader Hyperion Zoom eyepiece. The camera is intended for direct connection to the telescope. Please encourage your father to use it this way." Yeah, I agree with the First Light Optics rep and would not recommend using the ASI120 behind the Hyperion eyepiece. The ASI120 has a very small sensor to start with so the frames you capture will have a very small field of view and be very magnified. Then you add the eyepiece and it will be really be magnified and possible blurry. BUT- if you want to try, it is always fun to figure these things out. I have Hyperion and Celestron Duo eyepieces and have attached them to a DSLR camera. As you mentioned, if you get the M43 to T2 adapter ring, you will have a T2 connection on the Hyperion. So in theory, it is possible to get it to work. You can get T2 extension from pretty much any astro store or I got mine from Amazon. Just search for T2 or M42 extension or spacers. You can get an assortment set and try different length between the eyepiece and camera. You can stack rings together to get longer lengths. I think this will be kind of trial and error. For reference, a DSLR has a distance of about 50 to 55mm between the front of the T2 ring and the sensor. You will need to fiddle around with your focuser to see if you have enough focusing adjustment to get the combination in focus. You have to try different extensions and then try to focus. You can do this in daylight and try to focus at a distant mountain or a radio tower. The ASI120 is probably meant to be used at "prime focus", which means the camera IS the eyepiece, and there's no baader zoom. It screws on the camera's wide end, and gives it a "nosepiece" as if it was an eyepiece, so you can insert it directly into the telescope's focuser (as an eyepiece) to take pictures. Used this way, your father's Maksutov, the camera will give a very zoomed in view of lunar details, see this simulation of the field of view. To have the ability to zoom, you have to use afocal photography with the baader zoom and a normal camera (or smartphone in NexYZ adapter). Thank you guys, come to think of it, my father would probably prefer to use his phone anyway and I am sure he'll be amazed by the NexYZ since it will be very superior to the cheap eBay adapter that he was using. He even tells me that it sometimes takes him an hour or two (or more) to get the moon in the view properly and get some good videos out of that. I don't know how he has that amount of patience but he is an absolute fanatic and the craters of the moons look like flying pigs to him I guess Hopefully, this NexYZ will make everything way easier for him and that he'll love the zoom eyepiece as well which I am sure he'll love since he loved the cheap Celestron zoom eyepiece a lot. Thanks again guys! Will do, thank you Jond!